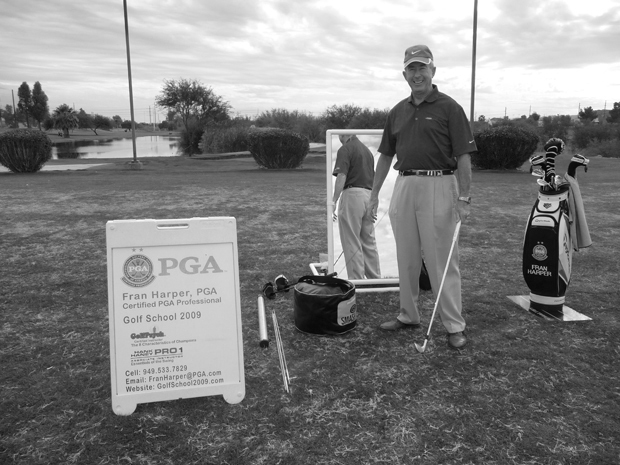 Fran Harper at Golf School 2009. Fran Harper at his teaching station. their imaginations to perfect their play. my role of helping my students to become competitive players. Join me on the course and we can help each other.